So we’ve made it nearly one month already in our new homeschool year. I wish I could tell you that it’s been nothing but smooth sailing and everything’s gone according to plan. In fact, it’s been pretty rocky. Character issues that had flown under the radar during the summer suddenly appeared to surface out of nowhere. I realized I needed to change my focus, and, as inconvenient as it was, address these issues as they came up. It made our mornings longer and sometimes lessons on the schedule simply had to be put aside. However, character cannot be sacrificed at the expense of academics. Too often we default to concentrating on growing our children’s minds, rather than their hearts. Character, especially godly character, has fallen by the wayside in our culture’s pursuit of academic and financial success. I’ll be honest, though. I don’t like interruptions in my days. It’s easier to just ignore the disrespect, laziness, and whining so I can continue on with my agenda and mark everything “done” for the day. But they aren’t an interruption to the real work of my day. This is my real work. If my ultimate goal is to raise adults who will stand up for others and serve them regardless of how they will personally benefit, misbehavior and disobedience needs to be nipped in the bud. It doesn’t matter if my kids have superior intellect; if they aren’t kind, selfless, and respectful it’s all a waste. I can’t be so focused on academics in our homeschool that I neglect to develop their character. If we want our children to have good character, we can’t just teach it. We have to live it. Our kids will display the qualities that they see in us. They see us behind closed doors and know who we really are in our own home. I’ll never forget the day I was standing at the sink washing dishes, and heard my very own words coming out of my son’s mouth. I don’t remember the exact words, but the disrespectful tone in his voice literally made my heart hurt. It caught me off guard, until the Lord reminded me gently that I had spoken the same way to him earlier that week. Ouch. Talk about humbling! My kids are always watching and learning from me. 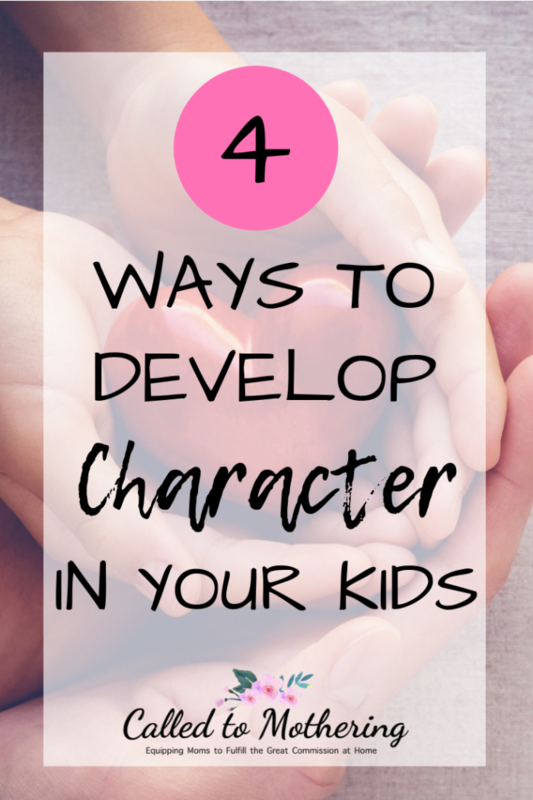 If I want to be able to teach my children good character, I have to model it before them. I have the very tool I need to fix my character- the Word of God. I know that the more I dig into God’s Word personally, the more I am able to show the fruits of the Spirit. I am more patient. More kind. More gentle. I have to be intentional about my walk with the Lord so that I can sow the right kind of seeds in my kids. If they’re interacting with each other, displaying bad attitudes and unkind words, I need to step in. Every time. And offer correction, right then and there. What can seem like irritating interruptions to an otherwise smooth day are actually golden teachable moments. I ask the offending child if they think their words and behavior were pleasing to God. Then we talk through different responses and ways they could have handled the situation. By taking the time to do this (over and over and over), my children receive hands-on training in character. It is invaluable for learning how to deal with incidents and strong emotions that come up in the future with either siblings or friends. 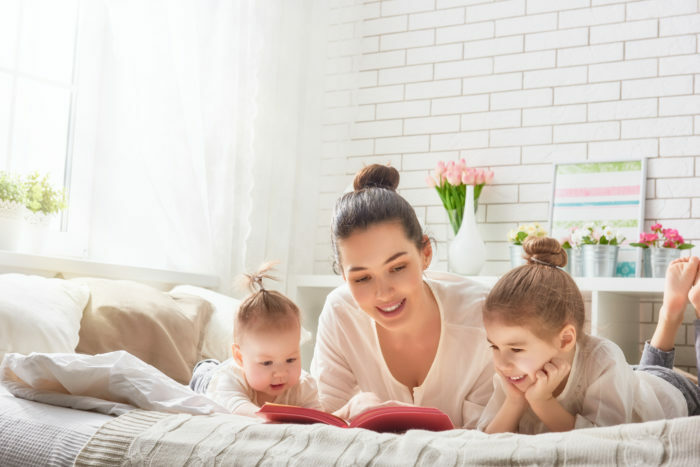 My kids don’t only need a head full of Bible stories; they need to know how to apply what’s in God’s Word to their real, every day lives and struggles. After all, I can’t change their hearts, but He can! If one of my children expresses that they don’t feel like obeying, or is upset over the other one winning a game, I help them pray about it. Often times, they’re so overwhelmed with their emotions that they don’t know what to say or how to say it through prayer. I usually need to help them identify their feelings first, and then I tell them to begin by sharing with God how they feel. Next I have them ask Him to help them change their attitude about it- to want to obey, or to be happy for their sibling’s victory. Make a list of the qualities you want them to work on (you can even enlist their help if they’re old enough), and then study people in the Bible who exhibit those specific traits. Studying these men and women’s strengths, weaknesses, and the choices they made can be a powerful lesson! Use their stories to explore how they gave glory to God, how God used them in spite of their flaws, and how your kids can relate to them today. If you’re looking for a curriculum that specifically focuses on building character, Character Concepts is a wonderful series for kids of all ages. It addresses whining, complaining, dishonesty, arguing, and unkindness, etc. for 9 different age levels. Your kids will learn how to put biblical character into action through various practical examples, too. It is so important as parents that we’re intentional about developing good character in our children. Not so they can just be productive, contributing members of society, but so they can be the hands and feet of Christ to a hurting world. Great post how to show them the character God desires! I hope I’m being a good role model to my kids. I blow it often, but I want them to see how grace works. So glad to have a gracious Father! These are great ideas! Modeling good character is so convicting some days! It is so hard to be consistent at addressing this issues every. single. time. Ugh. It’s so important to do that, though! I really notice the issues when we start to do something more structured or go out in public. Thanks for the encouragement and advice! I like the looks of that character curriculum. I love the story that you used to show that we need to model good character for our children. My oldest son and I had a similar conversation recently, and it was soooo eye opening for me. Now we have an agreement that he will tell me when I am not speaking nicely to him, and I will remind him of the same.